Replaces Artorias as a Boss and his armor set+Abyss Greatsword with the Berserker Armor and the Dragon Slayer from Berserk (with a bloody twist). 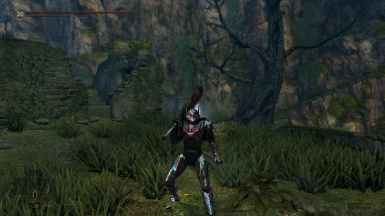 Armor only has blood mainly in the chest, with lesser quantitites in the helmet and gauntlets. 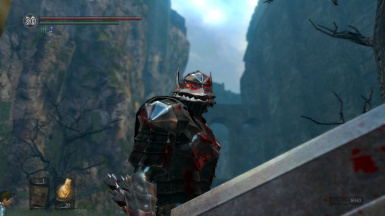 Added blood to the armor's textures, mimicking the Berserker's Armor first appearance in the manga. Added blood all over the Dragon Slayer. Hard to keep a big slab of iron clean while hunting souls. Changed the relevant armor, weapon and soul names for their Berserk counterparts. 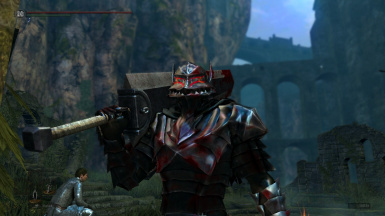 Added proper descriptions to the items modified, fitting in a bit of what-if Berserk lore into the Dark Souls universe. Added proper models, so that the armor is seen as the Berserker armor and not Artorias' set on the save screen and the menu preview. 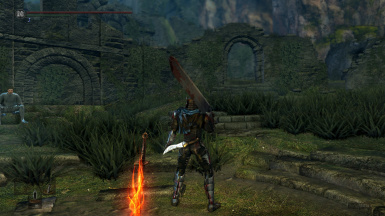 Outside that, I've also added optional replacements for the Greatsword of Artorias and the Cursed version ("Clean" and "Bloodied" Dragon Slayer variants for each). Alternate files that only with the item name changes or the boss name have been provided. Feel free to use my item+boss name change files with Katboi01's mod. 1. 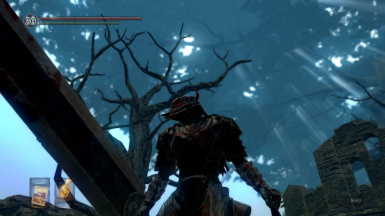 Before anything else, make sure to download UNPACKDARKSOULSFORMODDING﻿ (or UDSFM for short) and unpack your game's files. 2. Then, before you unzip and drop my files on the indicated folders, make sure to backup the files being replaced. Use the file's folder and names as a guide to find them in your unpacked game files. Or don't and us DSDAD. 3. Once that is done, copy the downloaded files on your Dark Souls Prepare to Die Edition\DATA\ folder. 4. You should be playing the game at this point. 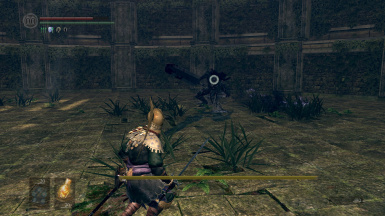 Maybe I'll change "Artorias as a Boss" textures when I find the time to try him out. Change the menu icons to match the model changes.